The EUROPLAN National Workshop took place on 20 September 2017 at the Ministry of Health in Prague. CAVO, the Czech National Alliance for Rare Diseases, was the organiser. The main topic discussed was the national designation criteria for Centres of Expertise in the Czech Republic, knowing that 29 health care centres had successfully joined 17 European Reference Networks (ERNs). The main recommendation is that individual centres and healthcare providers are acting as legally anchored centres of expertise for rare diseases (i.e. 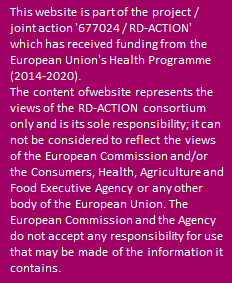 “centres of highly specialised care”) in compliance with the Czech regulation. This would also further enhance the participation of Czech centres in the ERNs.